The defendant told the jury that he did not kill girlfriend. He "did," however, admit to dismembering her, boiling her bones, and hiding them in the Port Authority locker." At the heart of countless crimes lies the mystery of the human mind. In this eye-opening book, Dr. Cheryl Paradis draws back the curtain on the fascinating world of forensic psychology and revisits the most notorious and puzzling cases she has handled in her multifaceted career. "Out it all came, a slew of bizarre comments about the electronic chips implanted in his brain." Her riveting, sometimes shocking stories reveal the crucial and often surprising role forensic psychology plays in the pursuit of justice. Sometimes the accused believe their own bizarre lies, creating a world that pushes them into frightening, violent crimes. "My client is charged with murder and tells me he is a descendent of kings. He says he is of royal blood. Can you evaluate him for an insanity defense?" Join Dr. Paradis in a stark concrete cell, with the accused handcuffed to a chair opposite her, as she takes on the daunting task of mapping the suspect's madness--or exposing it as fakery. Have a front-row seat in a tense, packed courtroom, where her testimony can determine an individual's fate. The criminal mind has never been so intimately revealed--or so darkly compelling. "A forensic psychologist reveals the dark and troubling human mind. Fascinating." "Fascinating . . . A forensic psychologist reveals the dark and powerful motives that challenge our justice system and opens up the troubling workings of the human mind." --Robert K. Tanenbaum, author of "Capture"
"Compelling . . . Dr. Cheryl Paradis offers a window into the world of a clinical psychologist who has made many assessments for the courts." --Katherine Ramsland, author of "The Criminal Mind"
"Eloquent . . . Anyone concerned with the relationship between deviance and mental illness will find this excellent book to be of great value." --Simon Baatz, author of "For the Thrill of It: Leopold, Loeb and the Murder that Shocked Chicago"
"Clearly written and comprehensive . . . Dr. Paradis skillfully leads the reader through the labyrinth of the psychotic criminal mind and the maze of the judicial system." --Barbara Kirwin, author of "The Mad, the Bad, and the Innocent"
"Insightful, remarkable . . . not to be missed if you want to understand the real-world dramas that underlie criminal justice." --Barbara Oakley, author of "Evil Genes"
"Informative, discussion-provoking . . . a much needed, intriguing collection of personal reflections as well as fascinating cases." "Riveting . . .Cheryl Paradis shows us a world rarely seen and one full of mystery." --John Coston, author of "To Kill and Kill Again" and "Sleep My Child Forever"
"Lucid, intelligent, provocative . . . Cheryl Paradis is an articulate expert guide to the bizarre and routinely baffling world of irrational and aberrant crime." --Stephen G. Michaud, author of "The Only Living Witness" and "Whisper of Fear"
"A marvelous book . . . a masterpiece that not only beautifully describes the people she examines but, just as importantly, fills in the dialogues between herself and others and includes her own thoughts and feelings. 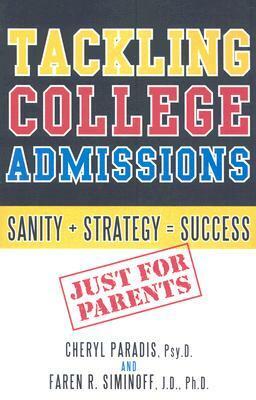 This book stands out." "Written with clarity, objectivity, and expertise . . . Cheryl Paradis draws you into the fascinating world of the forensic psychologist and into the minds and often disturbing motives of the defendants she has examined." "Chilling . 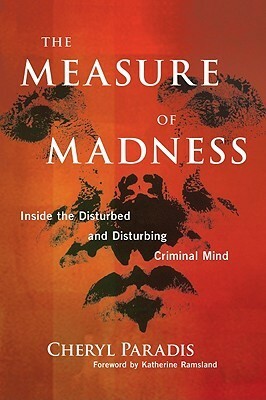 . . "The Measure of Madness" is an insider's view of a world few of us really know. Dr. Paradis makes clear that the reality of criminal forensic psychology is far different -- and far more fascinating -- than that portrayed in TV and movies. Fans of 'CSI' and 'Law and Order' as well as criminal law practitioners will find this book hard to resist." --Robert Reuland, criminal defense attorney and author of "Hollowpoint" and "Semiautomatic"
"A down-to-earth, tell-all case book . . . an unvarnished insider's view into the fascinating world of forensic psychology and the minds of mentally ill criminal offenders. This book will be of interest not only to forensic specialists, but to all those who have ever thought of entering this vexing but richly rewarding profession or wondered what it might be like to take an intimate look at the criminally insane." "Engaging, vivid, invaluable . . . a fascinating look at real-life case materials from the author's own practice as a forensic psychologist. The accounts of criminal defendants whose minds are on trial and the issues that Paradis must determine in making her evaluations make this book a must-read for anyone interested in the intersection of psychology and criminal law." --Patricia E. Erickson, J.D., Ph.D., co-author of "Crime, Punishment, and Mental Illness: Law and the Behavioral Sciences in Conflict"
"The criminal justice system fascinates most of us but too often the violence seems incomprehensible. Cheryl Paradis' intriguing account of a number of her cases from the viewpoint of a forensic psychologist is informative and provides an inside look at crime and mental illness, something we all need to know a lot more about."